College presents talk on "State of Native Nations"
A longtime advocate for Native American issues will give a free talk, "The State of Native Nations," at 7:30 p.m. Thursday, March 30 in the Mitchell Auditorium. 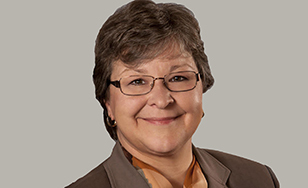 Karen Diver recently served as special assistant on Native American affairs in the Obama administration. Before that she was chairwoman of the Fond du Lac Band of Lake Superior. She is a graduate of the University of Minnesota-Duluth and Harvard University. Under her tribal leadership, the Black Bear Casino Resort was expanded, broadband coverage was increased on the reservation, acreage was added to the band's land base, and housing and health care facilities were improved. Diver's lecture will conclude the 2016-17 season of the Peace and Justice Lecture Series, which has a theme of "Voices of America." The Voice of America (VOA) is the official external broadcast institution of the United States federal government, providing radio and TV in English and a number of other languages. The VOA Charter says that the picture it paints of America is "accurate, objective and comprehensive." However, some scholars and commentators believe that this picture is not always accurate or truly representative of the diversity of voices that make up this country. The 2016-17 Alworth lecture series has allowed for some of these other voices to be heard. For more information, visit spotlight.css.edu or call 218-723-7000.